I have been working with a 15 year old boy of Fijian descent. He had previously been on the programme and had managed to cut down. When I first met him, he walked in and laid his head on the table not sure whether he wanted to quit or not. He was smoking up to 2 packets of cigarettes a day. He told me he used to buy cigarettes from a dairy that his friends’ dad owned, and would take them to school and smoke with his friends before school, after school and during morning tea and lunch. 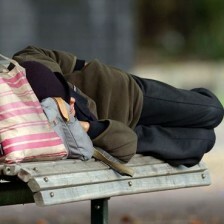 Whānau experiences of homelessness at a Marae Health and Social Service. Tākiri Mai Te Ata Whānau Ora Collective is seeing more and more men, women and children homeless in Lower Hutt and within the Māori community we support. 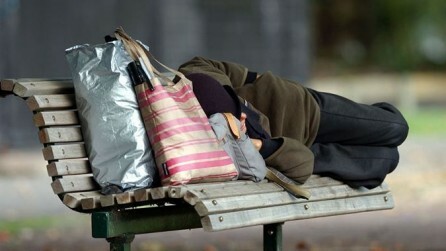 We do not know how many homeless there are, given people don’t always report these circumstances. We have Māori living under bridges, living in unsuitable or overcrowded homes, in garages or staying with friends or family. We've been busy here at Tihei Rangatahi, check out what we've been up to in Term One 2017. I started smoking as a young girl and had been smoking for 50 years, I thought I would never get there, never be smokefree and look at me today. This is my story. Charmaine Hunt grew up in Porirua, where she still lives and works as a mental health worker. I grew up in a family who smoked, I didn’t realise I was addicted to smoking until I was in my forties, before that I was in denial. In December last year, after often being unwell, having difficulty breathing, struggling to get to the mailbox and a chest infection Charmaine finally quit smoking. I went to the doctor feeling unwell, the doctor talked to me about quitting smoking and prescribed Champix. This is when my quitting journey began. My doctor also put me in contact with Tina from Takiri Mai Te Ata Regional Stop Smoking Service. Tina and I met face to face and planned out my journey to quitting. Once my 14 days was up I woke up that morning and said to myself – today I am a non smoker, today my new journey begins. Tina and I talked through the different stages of quitting and we talked about tools to help me manage the different feelings I will experience while I quit smoking. “Once we talk about what happens when you quit, people understand that they are not the only ones going through this. You are not alone, I am here to help you”. 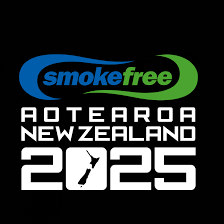 “When a person comes to terms with quitting smoking and their mind set is focused on quitting forever, the journey becomes easier,” explains Tina from Takiri Mai Te Ata Regional Stop Smoking Service. I have stopped smoking forever, I am never going back. A few times I have wanted to go back to smoking and I thought – no I am not doing it to myself. Now that I am a non-smoker I don’t tell people that they should quit. They will quit smoking when they are ready and I hope that they will get help, like Tina helped me. I have a new lease on life, I enjoy lots of different foods, things taste better and I am enjoying eating a variety of food and experimenting with my cooking. I am happy and healthy. And my father says, “See I knew you could do it”. 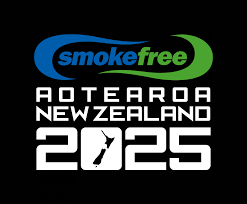 If you would like to begin your journey to quit smoking Takiri Mai Te Ata Regional Stop Smoking Service can help you, just like they have helped Charmaine.